From tragedy to farce. Bowie’s version of “Tonight” is dismal, but there was at least a commercial logic to remaking it: Bowie’s cover could have been a hit, in theory. Bowie’s remake of “Neighborhood Threat,” however, is just baffling. Even by Iggy Pop’s standards, the original “Neighborhood Threat” is a bit of ridiculous street posturing—it’s basically a Blue Oyster Cult song with much dumber lyrics and worse playing. It’s salvaged in part by the dagger-thrusts of the verses’ vocal melody, though it goes a bit dull in the choruses, which end with a shrug. Bowie’s remake likely was an act of charity. Tonight‘s producer Hugh Padham recalled that during the album sessions Bowie would reminisce about how he had “rescued” Iggy, and the excess of Pop co-compositions on Tonight (five in all) suggest that Bowie was all but sending money to Pop via Western Union. Tonight, dire as it was, was a platinum #1 record, and Paul Trynka estimated it made $100,000 or more in royalties right off the bat, a good chunk of which would be owed to Pop. Still, Bowie could’ve covered something more appropriate than “Neighborhood Threat,” which he inflated into a wretched spectacle. Gated drums pushed so high in the mix they sound like cannon fire, backing singers who seem to have been recruited from Les Miserables auditions, cliched guitar work by the beleaguered Carlos Alomar, a synthesizer arrangement (likely by Arif Martin) that Laura Branigan would have considered too over the top. Bowie seems torn between singing it straight (and failing) and camping it up (and failing). Arguably one of the worst recordings that he made in his life. Recorded 4-20 June 1977, Hansa, Berlin; on Lust For Life. Bowie’s remake was recorded ca. May-June 1984, Le Studio, Morin Heights, Canada. 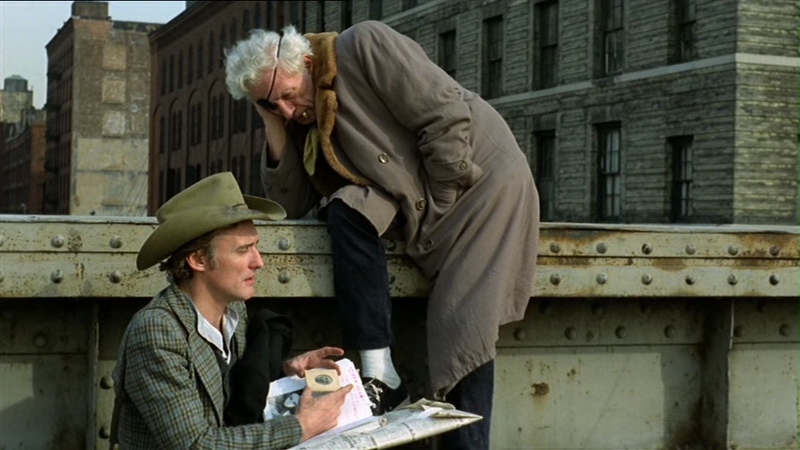 Top: Dennis Hopper and Nicholas Ray in The American Friend, Wim Wenders, 1977.